If you have stored data on your USB drive, and during the copying process of copying, your data has been deleted or become invisible, USB Show can help you recover it. 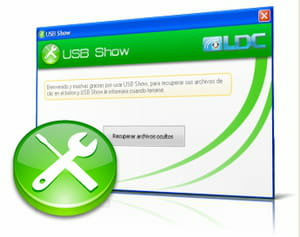 USB Show is a program designed to help you recover deleted or hidden data on your external drives. It can also recover data that has been the victim of a virus attack. It is rather versatile, supporting various removable media sources such as USB drives, flash drives, external hard disks, memory cards, and more. USB Show can find and recover them in one click. The recovery process is simple and requires no special computer skills to master. All you have to do is to specify the location of the drive via the interface and click the Enter button, and USB Show will do the rest. Latest update on November 28, 2018 at 02:27 PM.